A selective loss of language resulting from left hemisphere cerebral lesions is familiar to all neurologists but only rarely does such a deficit allow preexisting extraordinary capabilities of the right hemisphere to emerge. A retrospective case history of French composer Maurice Ravel demonstrates such a right–sided cognitive system. At 58, Ravel was struck with aphasia, which quelled any further artistic output. Most strikingly, he was able to think musically but unable to express his ideas in either writing or performance. Hemispheric lateralization for verbal (linguistic) and musical thinking offers an explanation for the dissociation of Ravel’s ability to conceive and to create. What makes Ravel’s history interesting to the public as well as to physicians is not only the tragic toll exacted in this composer’s personal and creative life but also the resultant loss of the output of one of the 20th century’s towering musical geniuses. 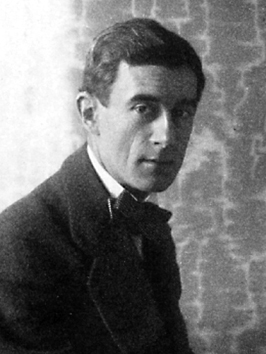 In 1928 Maurice Ravel accepted a commission from Viennese pianist Paul Wittgenstein, who had lost his right arm in World War I. The Concerto For The Left Hand in B Major allowed this disabled artist to overcome a tragic misfortune and resume his occupation as a concert pianist. Unfortunately, nothing enabled Ravel to vitiate his own tragedy and continue work as a composer: in 1933, he was struck with aphasia, which robbed him of language and caused his artistic career to come abruptly to an end. My objective is technical perfection. I can strive unceasingly to this end, since I am certain of never being able to attain it. The important thing is to get nearer to it all the time. Art, no doubt, has other effects, but the artist, in my opinion, should have no other aim (2). His effects were calculated; nothing left to chance. Such facility, a musical trompeI’oeil, was possible only through Ravel’s extensive knowledge and manipulation of the symbols of his craft, allowing him to conceive of musical relationships that others had not. Even the ever popular Bolero was based on an intellectual concept. Ravel said he wanted to write the world’s longest crescendo with only two commonplace motives, making no attempt to vary the music harmonically or melodically. Referring to this piece, he later said “I have written only one masterpiece, the Bolero. Unfortunately, it contains no music” (3). At a time when Debussy had popularized an impressionistic technique, Ravel commanded a style that provided no latitude for personal interpretation. Fastidious notation and a demand for precision won Ravel the accolade of being “the most perfect of Swiss watchmakers.” This watchmaker, however, was fond of mechanisms gone awry, pianos slightly off tune and uneven rhythms —plus vague et plus soluble dans l’air. Ravel wore the hat of engineer in his personal life, too. This musical factotum collected and built animated models and mechanical dolls, yet his manual dexterity was paradoxical. While talented at sculpting small objects in bread, he was maladroit with elementary actions and facile with only the most difficult of tasks. His neurologic health had been unstable all his life. He suffered many years from insomnia. An Army physical in 1916 disclosed ventricular hypertrophy, which raised the spectre of hypertension or heart failure. In 1920, he complained of his “Tristesse Affreuse” (terrible sadness), a neurasthenic affliction; “L’anemia du Cerveau” (cerebral anemia) threatened in 1926, manifested by intellectual inertia, confusion, insomnia and cloudy sensorium. These poetic names reflect a time in medicine when diagnoses were based on little fact and much speculation. Contemporary jargon might label these maladies as anxiety neurosis and transient ischemic attack, respectively. Finally, Ravel suffered several years from short spells of what he called “amnesia” (confusion, disorientation, unfamiliarity) but his first significant amnestic attack, lasting a few days, occurred in 1928. Five years later, while swimming at Saint–Jean–de–Luz, Ravel –– an expert swimmer –– suddenly found that he could not “coordinate his movements.” His protracted history of a progressive neurologic deficit, then, seems to have culminated in a stroke. His doctors branded him aphasic. One can define aphasia generally as the inability to comprehend or express the linguistic symbols by which men communicate, even though the sensorimotor pathways and sensorium are intact. Assignment of language to a given hemisphere is based on familiar observations following cortical lesions and aphasia frequently follows injury to the parasylvian areas of the left hemisphere, in which language “resides” in most individuals. If then it should be proved by wider experience that the faculty of expression resides in one hemisphere, there is no absurdity of raising the question as to whether perception — its corresponding opposite may not be seated in the other (4). In man, the higher cortical functions are vested principally in one cerebral hemisphere, the left one in right–handed individuals –– the dominant hemisphere lesions of the other hemisphere producing as a rule no recognizable disturbances (5). Although there is bilateral representation of the ear in the auditory cortex, dichotic listening tests have demonstrated the specialization of the hemispheres in processing different types of stimuli; namely, the perceptual superiority of the left for verbal items and the right for musical ones (6). Forceful evidence for cerebral lateralization lies in Bogen’s split–brain patients (7–8) who, following commissurotomy, are unable to write with their left hands and unable to copy geometric figures with their right ones. One can assign verbal function to the left hemisphere, which may be regarded as expressive or propositional. Similarly, the right hemisphere demonstrates a superiority for certain musical and visuospatial relationships and may be thought of as perceptive or appositional (9). Knowledge of hemispheric specialization and interaction can help clarify various clinical defects. Ravel’s intriguing deficit was due to the action of aphasia on artistic realization that depends on the interaction between a musical (right–sided and intact) cognitive and a verbal (left–sided and injured) linguistic system. Music is not speech, which is based on morphemes, phonemes, words, grammar and sentences. Musical notation is an arbitrary symbolization of sound. Concatenated both horizontally and vertically with respect to time, interrelated by the grammar of pitch, melody, harmony, rhythm, key and instrumental technique, these symbols are capable of infinite arrangement and differentiation. As a system of sounds and written symbols, music may communicate an affective state, the content of which as perceived by the listener is imprecise, while that of speech is precise and sometimes even absolute. Musical and verbal language are alike in that both have expressive and receptive components and both use a written notational system for documentation. Music was Ravel’s communicative medium. French neurologist Theophile Alajouanine documented (10) the case of Maurice Ravel, for whom he was physican for 3 years. His originally proposed etiology centered on ventricular enlargement. In a personal communication shortly before his recent death, however, Alajouanine abandoned ventricular dilatation in favor of cortical atrophy similar to Pick’s disease. Such diagnoses remain sadly speculative; an autopsy was, unfortunately, never performed. Ravel’s was a Wernicke’s aphasia of moderate intensity, without paralysis, without hemianopia, but with an ideomotor apractic component… Understanding of language remains much better than oral or written abilities . . . Musical language is still more impaired … (with) a remarkable discrepancy between loss of musical expression (written or instrumental) and musical thinking, which is comparatively preserved. In spite of his aphasia, Ravel recognized tunes easily, especially his own compositions, and could readily point out errors of incorrect notes or rhythm. Sound value and note recognition were well preserved as witnessed by Ravel’s perception that Dr. Alajouanine’s piano had gone out of tune due to the damp winter weather and his demonstration of the dissonance between two notes played an octave apart. Aphasia made analytic deciphering — sight reading, dictation and note naming almost impossible, hindered especially by an inability to recall the names of notes just as garden variety aphasics “forget” the names of common objects. Whereas he could hardly decipher musical signs analytically, Ravel had no trouble recognizing them visually and was able to select a requested score at first glance without error, thus demonstrating the difference between pattern–object recognition and symbolic comprehension, showing he did not have agnosia. He did have agraphia, however, and any attempt at writing, either lexic or musical, cost him untold effort. Biographer Roland–Manuel (11) relates how it took Ravel 8 days to write a fifty–word letter consoling friend Maurice Delange on the death of his mother. Although Ravel could “spell the words in his head,” he had forgotten how the letters were formed and had to look up each word in Larousse. Ravel suffered the necessity of remembering through symbols and, therefore, could not relate a visual image (a note) to a sound. He had more success in linking a reminiscence to a muscle impulse; piano playing from memory, while far from perfect, was much better than sight reading. Ravel was able to play the opening of “Le Tombeau de Couperin,” a rapid and ornamented piano piece, almost perfectly. His success may be attributed to “muscle memory,” which, along with visual and aural memory, is one of the 3 ways a musician memorizes a piece. Muscle memory most likely functions through motor mechanisms independent of language areas. In fact, when Ravel began thinking about what he was playing —that is, when language intervened he immediately began to falter. Such language interference would occur with anyone once a piece has been truly memorized. Rarely in aphasics is there an extraordinary development of the cognitive skills of the right hemisphere as in Ravel. The specialization of the hemispheres for generating and processing different types of information may explain the dissociation of Ravel’s ability to conceive and create. His case aptly demonstrates the aphasic schism: musical mentation is preserved while musical language is not. Unable to express his musical thoughts either in writing or performance, he became a helpless spectator of his own misfortune, often lamenting “I’ve still so much to say, so many ideas in my head.” He was aware of two people in one body — the awkward fool who had forgotten how to write, play the piano and notate a score and the artist filled with new musical conceptions but lacking the technical means to express them. Because Ravel was able to “hear the music in his head,” one infers that intact selectivity of mental processes allowed organized intellectual processes to occur. Cortical degeneration could have, however, made a fluid transiton from one neurodynamic pattern to another impossible. This could have resulted in a state where neural excitations, crucial to the transfer of information to kinesthetic and kinetic parts of parietal and precentral areas, became pathologically inert, leading to what may be called a state of internal right–hemispheric perseveration. Nonetheless, the cause of Ravel’s affliction remains open to speculation. His protracted downhill course is consistent with cortical degeneration, while his episodes of “amnesia” and sudden incoordination while swimming in 1933 suggest a history of transient ischemic attacks that culminated in a stroke. Which contributed most to Ravel’s linguistic deficit, which essentially was an inability to “get out” what his right hemisphere had created, remains moot. Ravel’s fate was sealed when his symptoms worsened. He complained of the “fog cloud narrowing in” and became profoundly depressed. When Helene Jourdan–Morhange found him leaning idely on his balcony one day and asked him what he was doing, Ravel only replied “I’m waiting.” His wait was brief, for an operation was elected at the Centre Fran çais de Médecine et de Chirguire in Auteuil. Professor Clovis Vincent explored the posterior fossa on December 19, 1937 but found nothing. Alajouanine was absent from Paris at the time and was never sure why Vincent decided to operate. Ravel lapsed into a coma 2 days after the operation and died on the morning of December 28.
musique dans Ia tete. Maintenant, c’est fini pour moi (12). For translation of correspondence, I thank Professor Germaine Brée, Wake Forest University.